From the inspiring author of Girls Who Rocked the World comes another comprehensive collection of true, inspiring profiles of successful young women throughout history who made their mark on the world before turning twenty. Young women today crave strong, independent role models to look to for motivation. In the follow-up to the bestseller Girls Who Rocked the World, More Girls Who Rocked the World offers a fun and uplifting collection of influential stories with forty-five more movers and shakers who made a difference before turning twenty. From Annie Oakley and Queen Victoria to Malala Yousafzai and Adele—each with her own incredible story of how she created life-changing opportunities for herself and the world—you’ll get to know these capable queens of empires and courageous icons of entertainment. Also included are profiles of gutsy teenagers who are out there rocking the world right now and personal aspirations from today’s young women. And who knows whether you have not attained royalty for such a time as this? Esther stood outside the door to the king’s courtyard. Her hands were shaking and her feet felt rooted to the floor. Where would she find the courage to enter? Inside was her husband, King Ahasuerus. But she wasn’t allowed to see him unless he asked for her, and he hadn’t asked for her in weeks. The punishment for breaking this law? Death. But she had to see the king. The king’s prime minister, Haman, had ordered the killing of every Jew in the Persian Empire. Thousands of people would soon be massacred if she didn’t convince the king to stop it. There wasn’t much time left to save them. But she was terrified. How could she, a mere girl, change the king’s mind about this genocide? What would she say? And if he became angry, would the king have her killed or just banish her, as he had done with his last wife? Fourteen-year-old Esther took a deep breath. She knew she was the only hope left for her family, her people—she had to do it. She would convince the king to spare the Jews. The story of Esther has been told for millennia. It was written in the Bible, in the appropriately named book of Esther. Scholars aren’t totally sure if Esther was real or not, but King Ahasuerus was real, and the persecution of Jews throughout history was certainly real. Real or not, this is Esther’s story. Over two thousand years ago, the Persian Empire stretched from India to Ethiopia. At that time, it was the largest kingdom in the world. Esther and her family were from the Jewish tribes of Judah and Benjamin, whose people had been conquered by the Babylonians and exiled from their homeland in Jerusalem. Then the Persians conquered the Babylonians, and some of the exiled Jews returned to Jerusalem. But Esther’s people decided to stay in Persia, the land of their exile. They weren’t treated badly by the ruling Persians, but they weren’t exactly equals either. The Persian leader at the time was King Ahasuerus, a vain and foolish man. When his queen, Vashti, refused one of his orders, he banished her. With no queen to boss around, Ahasuerus went looking for a new one. He held a kingdom-wide beauty contest to find his new bride. In the nearby city of Shushan lived fourteen-year-old Esther. Her parents died when she was very young, so her cousin Mordecai raised her as his own daughter. When the king’s soldiers came to town looking for beauties, Mordecai hid Esther—he knew how the king had treated his last wife and feared Esther would be in danger because she was a Jew. But Esther’s beauty was well-known and the soldiers found her anyway, taking her to the palace to join the king’s harem. One by one, each woman was paraded before the king. He rejected them all. But Esther must have been quite a looker, because when it was her turn, King Ahasuerus proclaimed her the most beautiful woman in the kingdom. Esther became the new queen of the Persian Empire. Mordecai missed his cousin dearly, so he spent most of his time hanging around the palace, hoping to see her. One day, he overheard two servants plotting to poison the king, and he sent an urgent message to Esther. Just as her husband was about to drink the poison, Esther rushed to stop him. The king was saved! Esther was praised and the servants were hanged. Around this same time, King Ahasuerus named Haman his prime minister. Haman was not a nice guy. When he walked down the street, every Persian had to bow down before him. But Mordecai wouldn’t bow. When he explained that he was a Jew and Jews don’t bow down to humans, only to God, Haman was enraged. He decided he would have Mordecai and all the Jews in the kingdom killed for this insult. He cast lots (called purim) to choose the day to kill the Jews (the casting of lots, or cleromancy, was like rolling dice to reveal the will of God). The thoughtless king agreed to Haman’s scheme; he wasn’t paying much attention. When Mordecai sent a message to Esther about Haman’s plan and begged her to intervene, she was terrified. She knew the risk she would have to take. The king hadn’t called for her in weeks—perhaps she was falling out of favor—and he was reckless and unpredictable. Esther fasted and prayed for three days before making her decision. On the third day, she gathered her courage and entered the king’s courtyard. To her surprise, the king wasn’t angry with her. “What is it you wish, Queen Esther?” he asked.3 Instead of pleading for her people right away, she invited the king and his prime minister to a banquet she had prepared. After wining and dining with Esther, the king asked again, “What is it you wish, Queen Esther?” Again, she postponed asking and invited them to a final banquet the next day. 1. Go to synagogue to hear the reading of the book of Esther (also called the Megillah). Whenever you hear Haman’s name, twirl noisemakers or stamp your feet to banish his evil name. 2. To celebrate Esther’s sacrifice, give to the needy. 3. To celebrate friendship and community, send gifts of food to friends. That night, Haman decided to build a gallows to hang Mordecai the next day. In a truly miraculous coincidence, the king had trouble sleeping that night and asked his servants to read to him from the royal diary. They read about Mordecai saving the king’s life—he had forgotten all about that! The next morning, Haman came to tell the king of his plan to hang Mordecai, but before he could, the king asked him, “What should be done to a man I wish to honor?”4 Thinking the king was talking about him, Haman enthusiastically suggested he dress the man in royal clothing, sit him on the king’s horse, and then lead him through the streets in celebration. King Ahasuerus loved this idea and ordered Haman to find Mordecai and make it happen! Thus, instead of leading Mordecai to the gallows, Haman led him through the streets of Shushan on the king’s horse. Everyone in town knew the story and witnessed Haman’s humiliation. At Esther’s final banquet, the king asked one more time, “What is it you wish?” This time she was ready: “I would like you to save my life and the life of my people.”5 She confessed to the king that she was Jewish and that Haman had ordered death to all of Persia’s Jews, including her and Mordecai. Furious that his prime minister had tried to make a fool of him, he ordered that Haman be hanged from the very gallows he had built to hang Mordecai. The next day it was done and the Jews of Persia rejoiced. Disaster averted, thanks to brave Esther! King Ahasuerus remained a vain and foolish man, but he made Mordecai his new prime minister. Together, Mordecai and Queen Esther ruled the Persian Empire; for more than two thousand years since, Jews have celebrated Esther’s courage and how she saved the Jewish people. This is the meaning behind the holiday Purim. Today, Esther is a feminist icon in the Jewish faith. HOW WILL YOU ROCK THE WORLD? I will rock the world by recycling in my neighborhood and picking up trash from the parks. Be clean and go green! Do not leave trash around; instead, pick it up. If you don’t, there will be more pollution on the earth, which harms the earth. 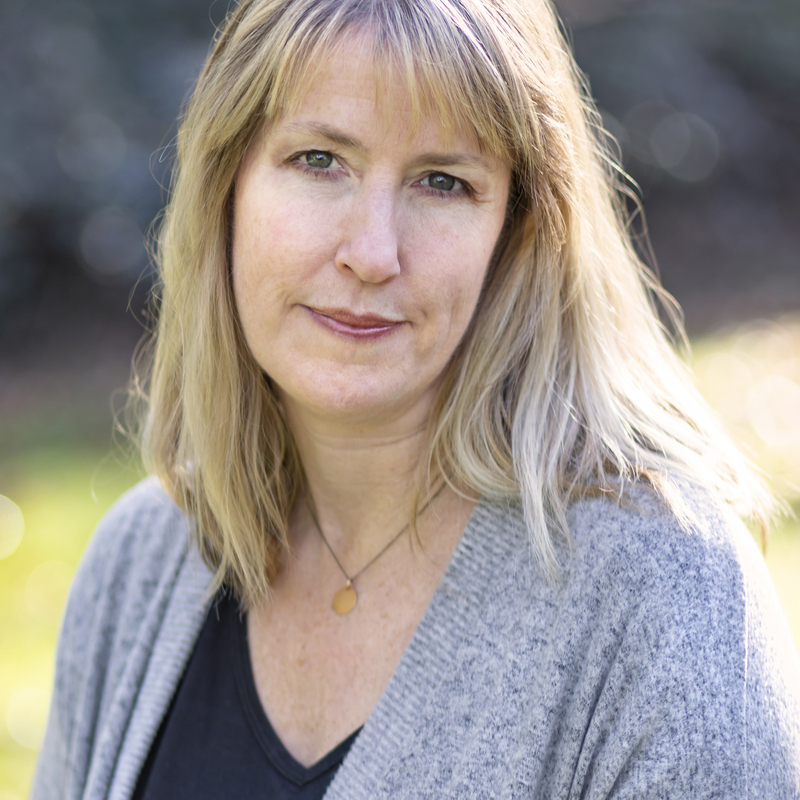 Michelle Roehm McCann has worked as a children’s book editor and art director for more than twenty years, as well as writing and compiling several award-winning children’s books of her own. She lives in Portland, Oregon, with her husband, two world-rocking kids, and their brilliant cats, Horace and Percy. This sequel to Girls Who Rocked the World includes profiles of 45 girls and women who have made a difference in their local and global communities. Figures include Josephine Baker, Cleopatra, Ruth Bader Ginsberg, Jazz Jennings, Nadia Nadim, and Selena Quintanilla-Perez. Each informative profile is fairly brief and written in straightforward conversational style. The author adds bits of storytelling flair to the biographical accounts: "Aretha stepped up to the chair. From this height, she could see the whole congregation at New Bethel Baptist Church." This technique helps move narratives forward without being distracting. Peppered throughout are quotes from contemporary girls that answer thequestions "How will YOU rcoks the world? "—providing readers with an opportunity to imagine themselves included among these inspiring women. A fine offereing for libraries looking to fill out their biography collection with a browser-friendly book. In this follow-up to Girls Who Rocked the World (2012), McCann introduces 45 more women from around the globe who exhibited courage and pushed the limits of gender. Beginning with Esther, the Biblical queen of the Persian Empire, and Cleopatra, chronologically arranged sketches place each woman in her time period and describe pivotal events that solidify her place in history. For instance, Josephine Baker is not only remembered as an African American dancer who charmed Paris when her native U.S. upheld segregation, but also as a spy who communicated secrets to the French Resistance. Invented dialogue gives the sketches an appealing, modern feel, while sidebars add interesting details. Many names will be recognizable, from Eleanor Roosevelt and Hillary Rodham Clinton to Beyoncé and Jazz Jennings. Others, like Indian architect Sheila Sri Prakash and Arlen Siu Bermúdez, a revolutionary poet from Nicaragua, may be new. In addition to striving for diversity, the author includes many young women making history today. Readers can find out more about these dynamic women through the appended bibliography and source notes. 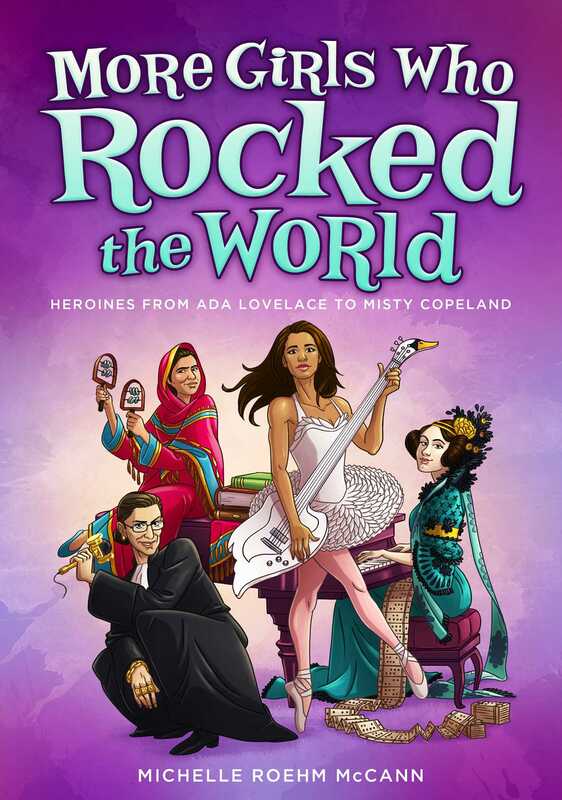 In this sequel to Girls Who Rocked the World (Aladdin 2012), 45 new inspirational stories of women from Ada Lovelace to Misty Copeland are told. Spanning from ancient times to the modern world-and covering subjects from political leaders to race car drivers-this collection of short biographies is sure to have something for everyone. All of the selections are brief, yet contain a large amount of factual information told in a conversational manner. Quotes from the individuals and small boxes of fun facts make the reading extremely enjoyable. A personal connection to the reader is made through the inclusion of the question "How will you rock the world?" The variety of people included and the kid-friendly manner in which the information is presented will make this a popular read among middle grade readers, yet is engaging enough to catch the interest of older readers as well. This would be a great way to introduce biographies to readers.